Famous smartphone leaker Evan Blass now has yet another leak of the upcoming Galaxy S10 line up. The fresh leak now reveals the upcoming S10 to come in three variants. All the three variants can be seen wrapped in a transparent case. As you can see above three variant from left to right, first we have the S10E, S10, and S10+. However, we are still not sure about the naming scheme of the upcoming Galaxy S10 line up. The previous leak had suggested that the devices to be called as Galaxy S10, S10 Lite, and S10 Plus, which were reported to come in the U.S. and South Korea with model number SM-G977 and SM-G977N. However, now talking about today’s leak, it suggests that the alleged S10E will be the smaller variant among the other two and will be equipped with a dual rear camera at the back. On the other hand, the Galaxy S10 is said to sport a 5.8-inches. Lastly, the Galaxy S10 Plus is expected to feature 6.4-inches display. 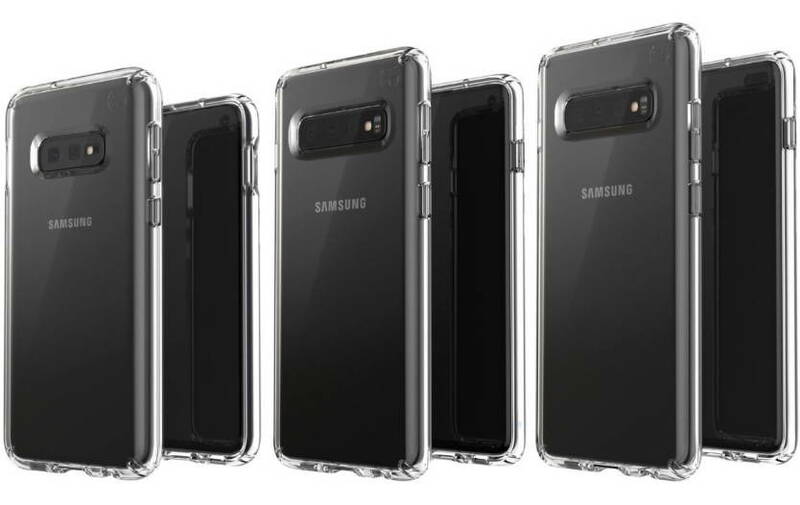 While looking at the new renders we can see that the Galaxy S10E and the Galaxy S10 appears to have a single punch hole camera at the front while the bigger Galaxy S10 Plus variant seems to have a dual punch-hole front camera. One out of three Galaxy S10 device is also expected to come with Snapdragon 855 that will bring the 5G network support on to the device using Qualcomm’s X50 modem chipset. Samsung will launch its Galaxy S10 line up at its upcoming Galaxy Unpacked event scheduled for February 20, 2019.